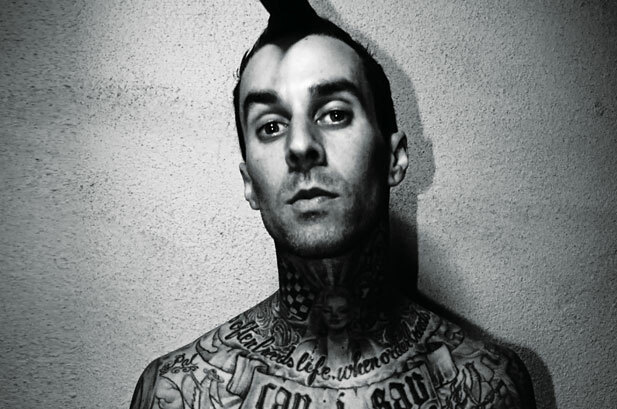 Travis Barker, drummer of Blink 182, will release his biography Can I Say: Living Large, Cheating Death, and Drums, Drums, Drums on July 24th from William Morrow publishing. Here is the description from Amazon: Travis Barker’s soul-baring memoir chronicles the highlights and lowlights of the renowned drummer’s art and his life, including the harrowing plane crash that nearly killed him and his traumatic road to recovery—a fascinating never-before-told-in-full story of personal reinvention grounded in musical salvation and fatherhood. In this blunt, driving memoir, Barker ruminates on rock stardom, fatherhood, death, loss, and redemption, sharing stories shaped by decades’ worth of hard-earned insights. His pulsating memoir is as energetic as his acclaimed beats. It brings to a close the first chapters of a well-lived life, inspiring readers to follow the rhythms of their own hearts and find meaning in their lives.